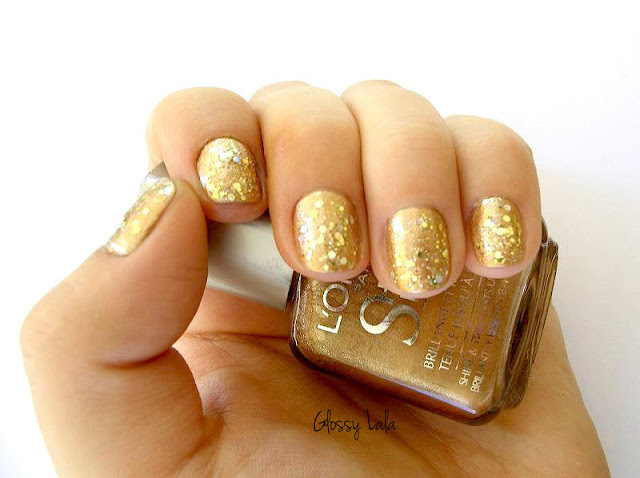 Golden Sparks Nails - Be Glossy In and Out! I want to tell you that this manicure lasted so much that I couldn`t believe it, after 10 days it was still ok. It is suitable for special events, but also for Winter Holidays and, especially for New Year`s Eve. I recommend those glitters. You can find them here at the price of 2,99 pounds. I think these are perfect holiday nails - gorgeous! So pretty :-) 10 days is a long time for a manicure to look good! I have gold nail polish on right now. :) Love this mani...it's beautiful! Nice post and beautiful blog! I follow you! Tomorrow i will upload my second post on my new blog, hope see u there !! Ce culoare frumoasa! Perfecta pentru anul nou! ich mag deinen Blog :D i liiiike your blog :D I follow you now, if you like follow me too :D ! It,s great!! I really recommend it! !